Safety equipment is an important part of boat preparation and it is advisable for all pleasure craft skippers to check their vessel is properly equipped. Below are some useful pleasure craft safety equipment recommendations from the UK’s Royal Yachting Association (RYA). All skippers should be mindful of any laws that exist in their country regarding pleasure craft safety equipment recommendations. It makes sense wherever you are to keep a vessel appropriately equipped and for that equipment to be serviced and up to date. Some boat owners are put off doing this because pleasure craft safety equipment can be costly and might never be used. It is unwise to ignore pleasure craft safety equipment recommendations and not to keep a check of equipment expiry dates. There are strict laws for commercial vessels and for pleasure vessels over 13.7 metres in length. However, no statutory requirements exist for pleasure craft under 13.7 metres in length other than those stipulated in SOLAS V. SOLAS V is part of the International Convention for the Safety of Life at Sea and can be downloaded via the internet. The lists below cover essential, mandatory and recommended items for vessels up to 13.7 metres and over 13.7 metres in length. Lifejacket (or buoyancy aid) for all on board. Safety harnesses (varies with type of boat). Kill cord and spare (varies with type of boat). Chart(s), Almanac and Pilot Book. Handheld white flares or powerful torch (for collision avoidance). 406 MHz EPIRB/PLB (varies with area of operation). Liferaft and Grab bag (varies with area of operation). Equipment to deal with a man overboard (life ring, dan buoy etc.). Emergency tiller (for wheel steered boats) (varies with type of boat). Equipment to deal with water ingress (Bailer, Bilge Pump, Bungs). Emergency VHF aerial for fixed VHF (varies with type of boat). 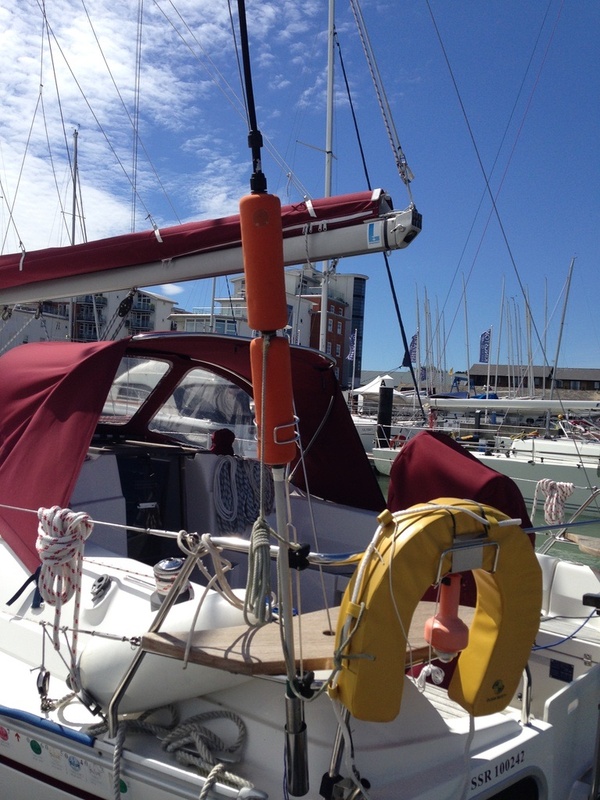 Tools and spares (engine, electrics, rig, sails). Pump and puncture repair kit (for inflatable boats). Alternative means of propulsion (oars, outboard engine etc). Navigation lights, day shapes and sound signalling equipment. Fixed steering compass (lit at night). Drawing instruments for navigation (plotters and dividers). Barometer (varies with area of operation). Storm sails (for sailing yachts) (varies with area of operation). Bosun’s chair (for sailing yachts) (varies with type of boat). MF/HF radio (varies with area of operation). SSB radio and / or satellite phone (varies with area of operation). SART/ AIS SART (varies with area of operation). Propeller guards and rope cutters. Sea anchor and/or drogue (varies with area of operation). Emergency tiller (for wheel steered boats). Handheld white flares (for collision avoidance) or powerful torch. Storm sails (for sailing yachts). Bosun’s chair (for sailing yachts). SSB radio and / or satellite phone.